October is indeed going to be the month of comebacks. 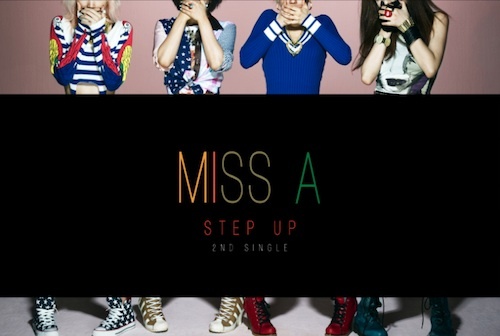 AQ Entertainment (a subsidiary of JYP Entertainment) has revealed a comeback photo for Miss A‘s second single, named “Step Up.” More information about the single will be released in the upcoming weeks. So a quick rundown: BoA will be coming back with a repackaged album, SHINee will do the same, 2NE1 just started their comeback, BEAST will be coming back soon, 2PM/2AM are supposed to come back in the next few weeks, along with a host of whole other groups who will probably be shooting for a comeback before the end-of-year ceremonies to grab some trophies. Who do you think is going to reign king/queen of the Kpop game?